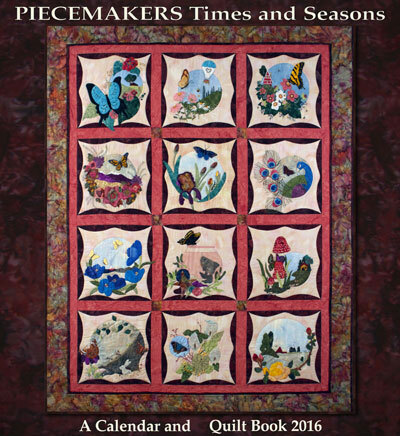 A wall calendar with original quilt designs by Piecemakers on every page as well as scriptures and whimsical color drawings. The theme for 2016 is vintage postcards featuring butterflies and the quilt title is "Fly Away with Me". A complete pattern book with instructions for applique, ribbon work and embroidery to make the quilt is included. Cover quilt size: 60" x 76.5".